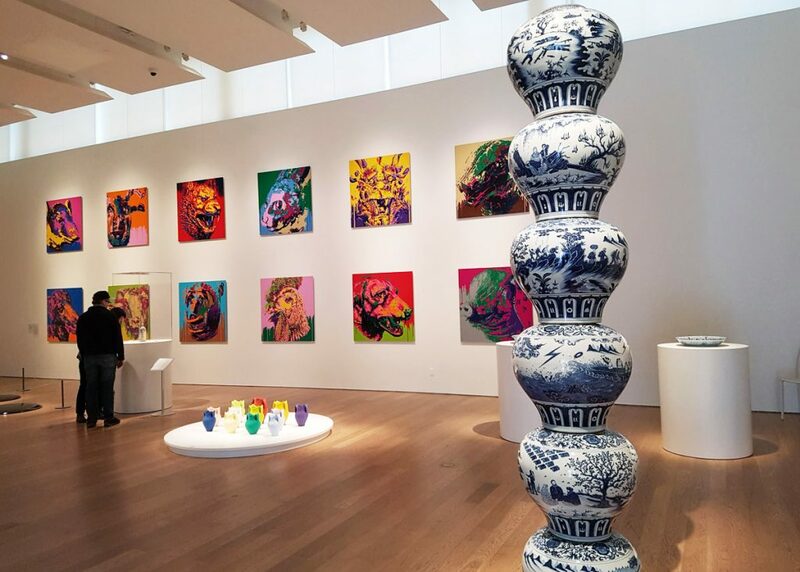 For new and old fans of Ai Wei Wei’s work, the Ai Wei Wei: Unbroken at Toronto’s Gardiner Museum is a must-see. This compact exhibit spans a range of work by the recognizable contemporary artist and outspoken critic of China. 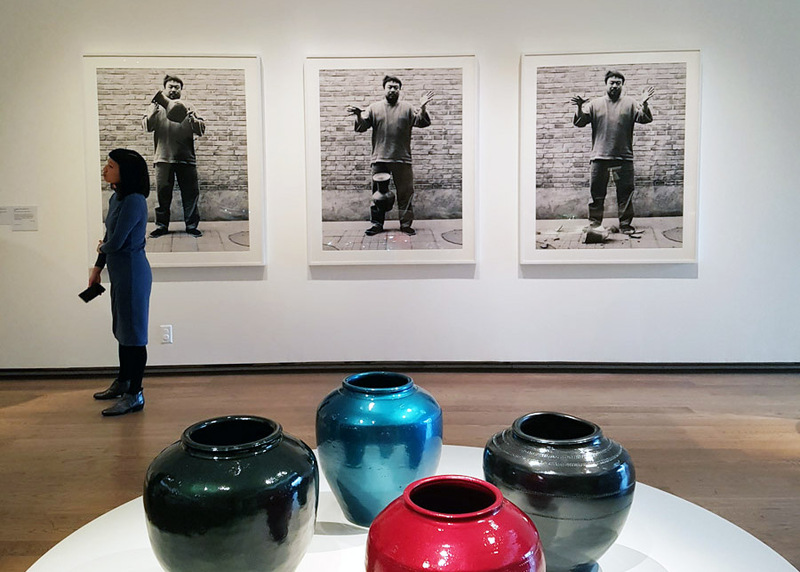 In particular, Ai Wei Wei’s role as a champion of human rights is felt most fully in the room, despite it being showcased alongside other works and their messages. The masterful execution of the porcelain works, alongside necessary commentary on the refugee crisis, make this show a captivating – and accessible – compendium of the artist’s mission. Expect to spend about 45 minutes in this exhibit, and another 1-2 hours exploring the rest of the Gardiner Museum. Their gift shop is one of the best, where you can purchase the original work of Canadian ceramic artists. Schedule your visit to the museum to coincide with their daily free tours at 2 pm. 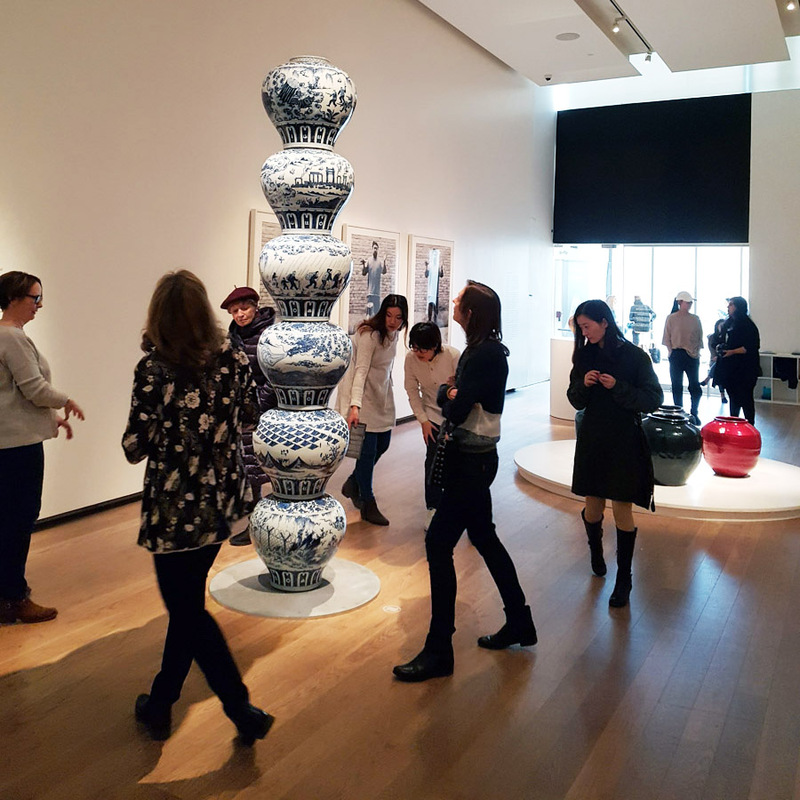 The volunteer tour guides are a wealth of information, and really broadened our appreciation of ceramics, while giving more context in the lead up to the Ai Wei Wei: Unbroken exhibit. Ai Wei Wei: Unbroken is included in general admission ($15 CAD). Book your tickets today: click here. 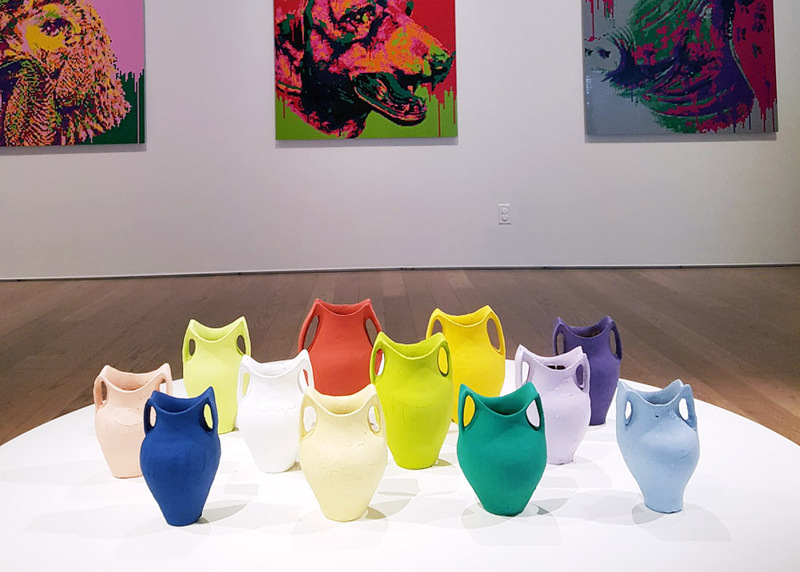 For a more detailed summary of the works on view in this exhibit, we suggest popping over to The Art Newspaper‘s review of the show. If you’re clever, enhance your understanding of the subject matter by participating in one of these upcoming exhibition programs & events. Delve deeper into the themes presented in Ai Weiwei: Unbroken with interdisciplinary workshops on documentary media, spoken word, performance, and online journalism. New Ho Queen curates an art party that breaks down walls and boundaries, and, through the lens of queer Asian artists, explore how building bridges and fostering chosen families create subcultural spaces for expression and belonging. This panel will explore Human Rights Watch’s ongoing research on China’s mass arbitrary detention and mistreatment of Turkic-speaking Muslim Uyghurs. 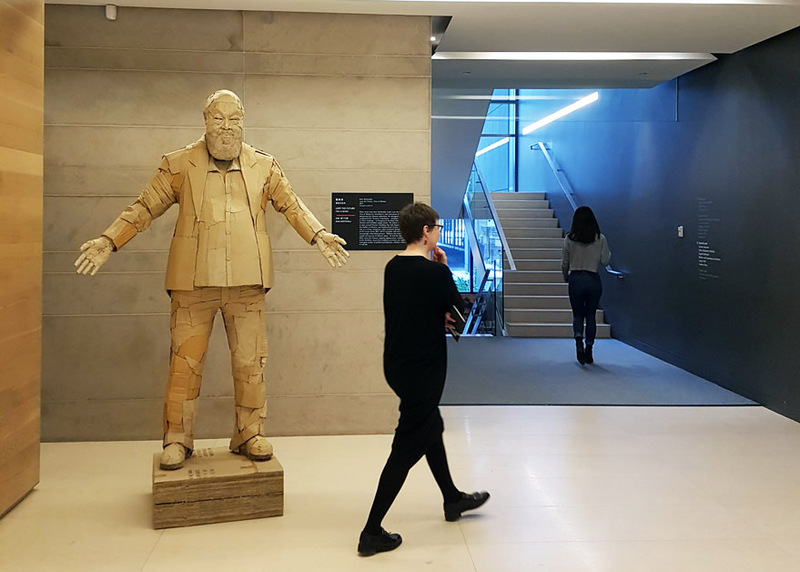 Toronto artist Sean Martindale’s cardboard Love The Future / Free Ai Weiwei welcomes visitors to the Gardiner Museum.